Erie Reader: First off, we just wanted to say thank you for sitting down with us. We know you have a busy schedule, and it's a bit of a journey to get out here. ER: Hello. There are a lot of people in the community who are excited to hear from you. WS: I HAVE SOME INSTRUCTIONS THAT YOU MUST OBEY BEFORE COMING INTO MY HOUSE! ER: Oh yes, we're rather familiar with those. While our community is quite well-versed in these procedures, there are other pressing issues at hand. One question we had concerned the upcoming mayoral election. With Joe Sinnott leaving office, have you decided to endorse either candidate? ER: Excuse me, I'm going to have to cut you off. Our question was regarding Mayor Sinnott's tenure. Ben Speggen recently sat down with him, and the interview truly shed some light on the man behind the title. It might prove to be informative for you. So, are we to understand that there will be no forthcoming endorsement? 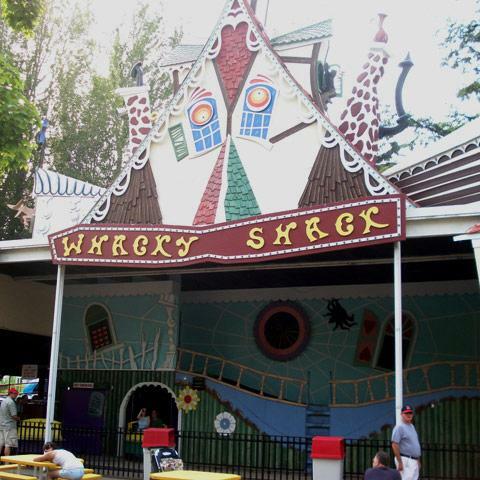 WS: – AND REMAIN SEATED THROUGHOUT THE RIDE WITH BOTH FEET FLAT ON THE FLOOR! ER: We don't mean to speak out of turn, but if we could kindly divert from your standard talking points, there are some things our readers would love to know. Maybe something lighter then. We'd also care to know: what do you plan on doing this Halloween season? WS: NEVER THROW THINGS AT ME! ER: As in, throwing parties, and hosting events? Interesting. In fact, Matt Swanseger has cooked up a lengthy list of some of the local events going on this month. As someone with an outsider's perspective, what are some thoughts you have on Erie's evolving cultural landscape? WS: OR I'LL SEE THAT YOU LOSE YOUR WRISTBAND! ER: So, you so think that we should be admonished for certain actions, and – so to speak – inactions? WS: MAYBE WITH YOUR ARM STILL ATTACHED! WS: I'LL BE WATCHING TO SEE THAT YOU BEHAVE YOURSELF! ER: Oversight, along with a system of checks and balances, is important to any scenario. That's actually refreshing to hear. What are your thoughts on our the current state of our nation as a whole? ER: Truly telling. Thank you – sincerely. Do you have any final words of advice?